Gorgeous Debbie! I love it with the leather shorts. I wanted some black faux leather too but found it too shiny. Great top! Absolutely gorgeous fabric. I’ll bet it’s a dream to wear. I love the RTW links you included at the end of the post. It proves the point I keep making to my husband as he watches my stash grow – we save money by sewing!! 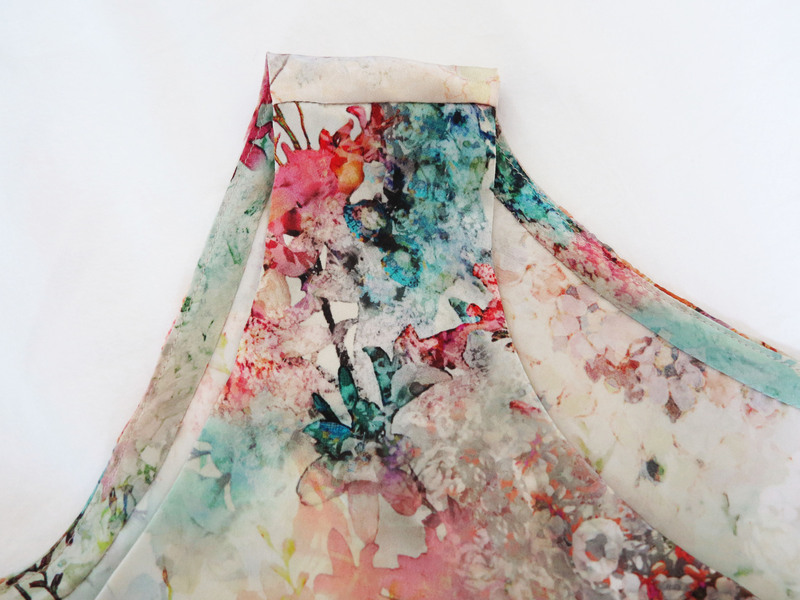 It is a seriously gorgeous fabric and this top definitely does it justice, so pretty. The fabric is so lovely. I really like that you made such a simple and basic top; it showcases that fabric so well. I love that fabric, it really is the fabric of the month. Wow!! That fabric is breathtaking!! 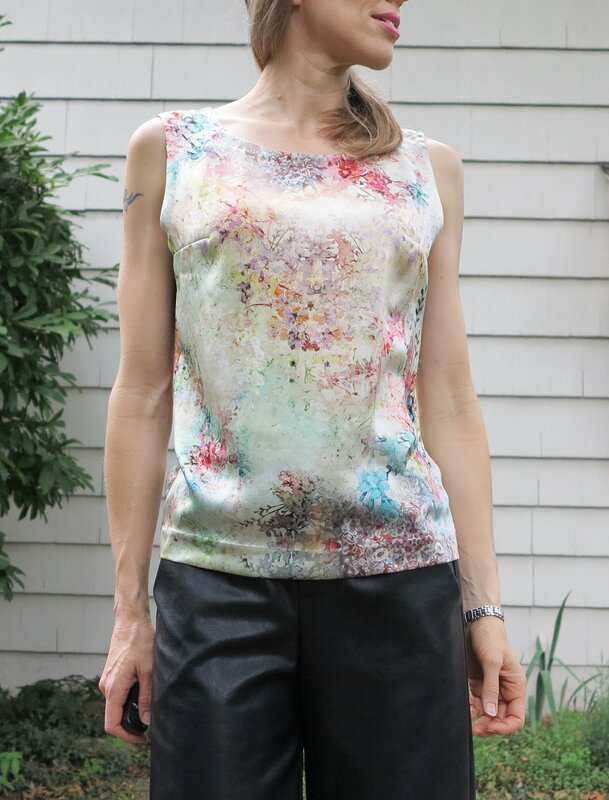 You made the perfect top for showing the fabric off. I like how you’ve paired this delicate watercoloury fabric with the faux leather. I especially like how you show those links and how much you save by sewing. Haha! Thanks Melanie, for this and your other comments. 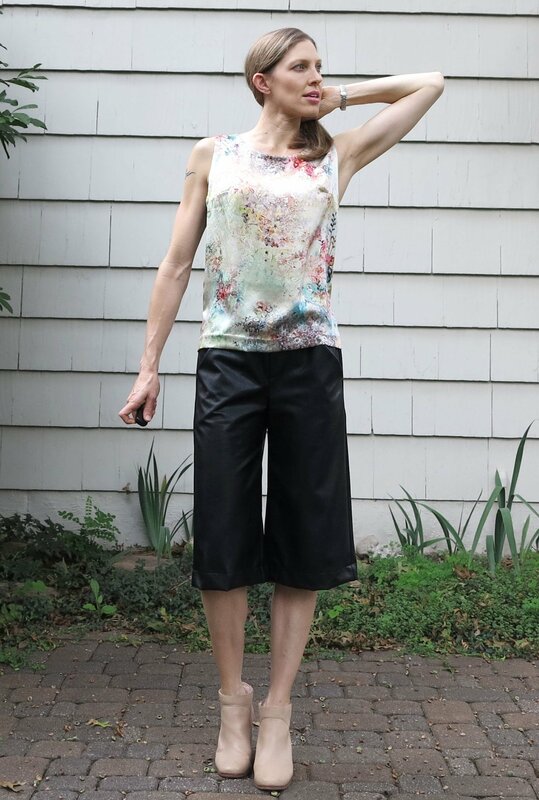 I do like the black pants – so comfy, which always ends up being a big factor in me actually wearing what I make. RE: the bag sewing – it was nice to be able to use sewing to do something nice for someone I love. In times of loss, it’s easy to feel a bit impotent – I always want to do something as I feel like I don’t have the right words, or the words don’t have much power (and mostly to make me feel better I think).